I became interested in philosophy of theatre partly through working on Nietzsche (who wrote his first book on Greek tragedy) and partly because I was interested in theatre anyway. As I looked into philosophy and theatre, it became clear that contemporary philosophers, even philosophers of art and literature, have had very little to say about theatre. On the other hand, many major figures in the history of philosophy thought theatre was extremely important. 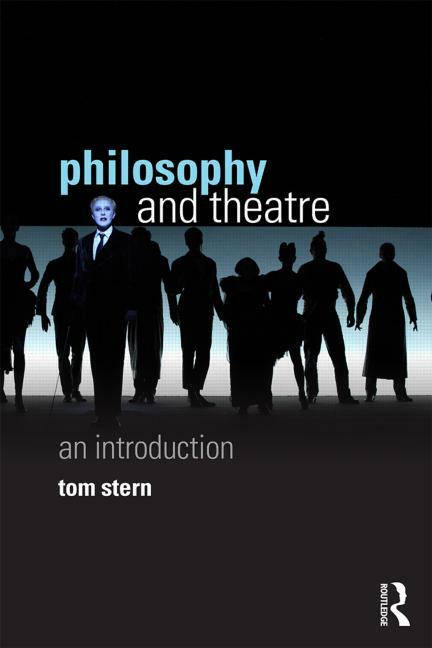 This is a collection of essays I edited, on all things philosophy of theatre, drama and acting. Topics include contemporary discussions of film vs. theatre, the ethics of acting, ideals of theatrical art, together with historical perspectives including Hegel and Shakespeare, Sartre on the nature of acting, Nietzsche on the relation between philosophy and theatre, and so on. The main result of my investigations into philosophy and theatre is my book. 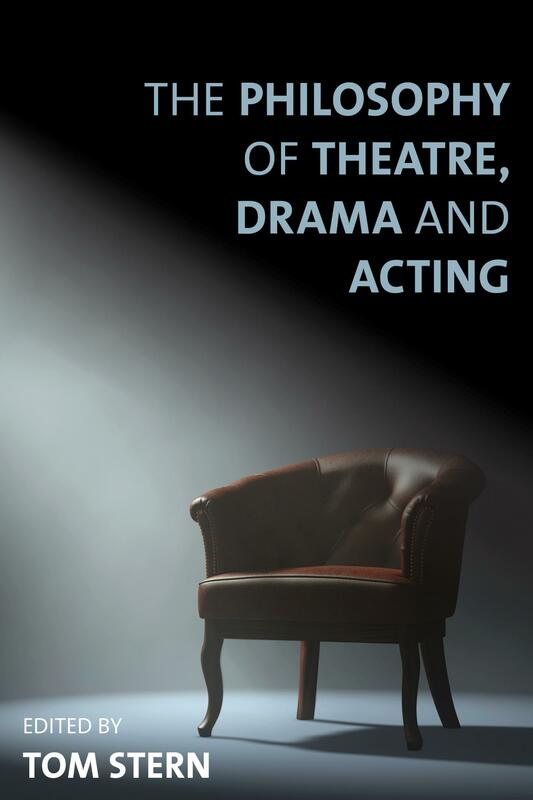 It presents a series of philosophical topics, problems or questions which arise in relation to theatre and which, taken together, are meant to offer a comprehensive overview and introduction. My imagined readers are students of philosophy who are interested in theatre or theatre people (students or practitioners) who are interested in philosophy. The topics I consider include: politics, truth, illusion, emotions and mimesis (roughly: imitation). The philosophers I talk about include: Plato, Aristotle, Rousseau, Nietzsche and Lukács. The publisher’s site for the book is here. If you would like to order a copy, you can do so directly there. Alternatively, an Amazon link is here. I gave a public lecture at UCL which was loosely based on parts of the book. You can find a video of the lecture here. My chapter in this collection begins with an apparent contradiction in Nietzsche’s writing. On the one hand, Nietzsche liked to describe himself as ‘anti-theatrical’ and he did indeed put forward various criticisms of theatre and acting. On the other hand, he is also known as an advocate of using the mask, a theatrical device, in philosophical communication. I argue that this tension is resolved by a better understanding of each of its components. But, in resolving this first tension, a further, more troubling tension is revealed: a tension between Nietzsche’s project of translating man back into nature and his views about how such a project could be communicated or expressed. Put simply: it looks like the project of translating man back into nature — of describing us as we really are — is self-undermining. Ibsen's Hedda Gabler: Philosophical Perspectives, ed. K Gjesdal, Oxford: OUP, 2018. My contribution to a book of philosophical essays on one of Ibsen’s masterpieces. The essay examines the relationship between beauty and use in the text, above all against the background of various Marxist readings. I also pay attention to the question of ‘use’ in the work of the play’s two historians. Simply put, I suggest that, through its treatment of use and beauty, the play explores the ideal of not being pushed around by external forces — an ideal it treats with admiration and suspicion. For details of the book, see here. The link below takes you to the Oxford Scholarship online edition. My contribution to this volume on Shakespeare and Continental Philosophy looks at Schopenhauer’s Shakespeare. Schopenhauer proclaimed Shakespeare a genius — in his own special sense of ‘genius’. He thought that tragedy was the most significant form of poetry, that Shakespeare was the greatest tragic poet and that Hamlet was his supreme masterpiece. My essay argues that the reason for this praise lies ultimately in Shakespeare’s use of character. The publisher’s site for the book is here. One of the chapters of my book came out of a separate article about whether history plays are history. Imagine you watch Shakespeare’s Julius Caesar with a friend, who asks you whether it really happened like that. This paper is my attempt to give an answer. If you are interested in what other contemporary writers have to say about the relationship between philosophy and theatre, here is my review article about four recent – and very different – philosophy and theatre books.